anna2358 had the most liked content! If you do decide to learn blender, I would recommend starting with the beta version 2.8. Although it is beta quality, it will become the next release, and the user interface is very different to blender 2.79. I am using it exclusively now and love it. 20 meters sea level to 80 meters lake level, sounds like a Canal with locks to me. Great opportunity for a nice bit of Mole-engineering, and maybe a toll-gate. Yes, I do. And in fact, I am not desperate for a Linden Home. I have a large parcel on Satori, and a huge unique house which replicates an RL dwelling. I would like a houseboat, but actually I'd prefer to have a 1024sqm parcel with just a dock on navigable water as my Premium land. The key is access to navigable water. I'm sorry I have sounded negative about this. I actually do support what you are doing. 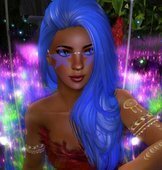 I want, no, NEED, Linden Labs to continue to be successful with SecondLife. He's a Linden, of course he's psychic. Only Lindens can use God-mode, after all. No mention in there of 'HURRY, LIMITED NUMBERS, EXPECTED TO GO FAST'. If as you say Patch has been warning of that, at least he could have put the warning in the notice. Forum watching is not one of my present top-o-the-list activities. But I bow to your analysis, dear Chic (without whom my SL home would have terrible LOD). This is the best advice of all. There are good reasons to come to SL, not all are addictions, friendships are top of my list, but if you have no reason, go get a life out there in RL. I've cut back to less than 6 hours a day.